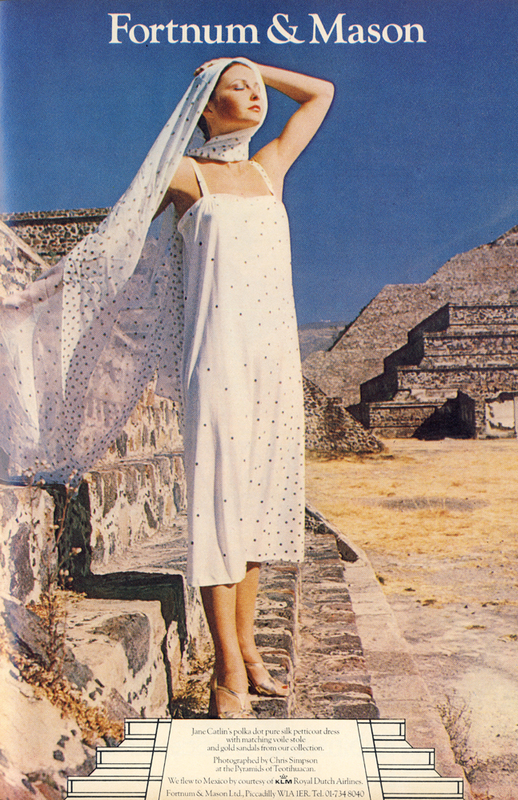 Jane Catlin’s polka dot pure silk petticoat dress with matching voile stole and gold sandals from our collection. Photographed by Chris Simpson at the Pyramids of Teotihuacan. Both suits by Jane Cattlin. Both necklaces by Zandra Rhodes. Both shoes by Charles Jourdan.